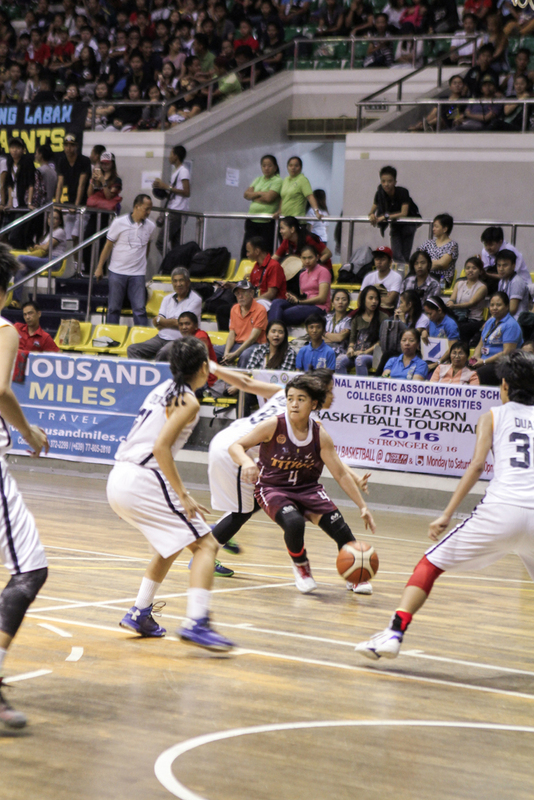 Enderun Colleges’ Lady Titans emerge as champion in the 16th NAASCU Women’s Divison (Photo by Nichol Lopez). Enderun Colleges have made October 13, 2016 one for the books after clinching the 16th National Athletic Association of Schools, Colleges, and Universities Women’s Division championship at the expense of Rizal Technological University Blue Thunders, 81-71, in Game 2 of their Finals series at the Makati Coliseum. 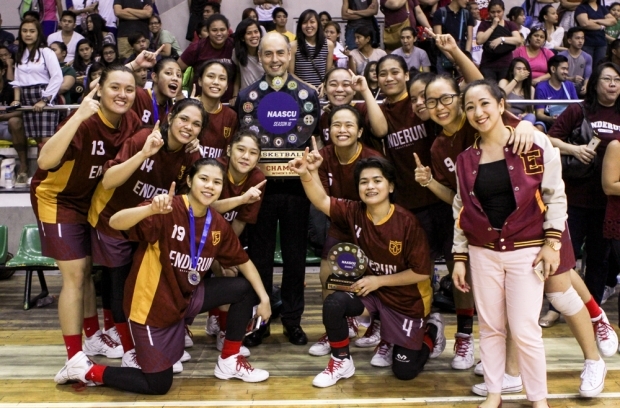 Enderun’s championship run — which is highlighted by a two-game sweep in the Finals against the Mandaluyong-based cagebelles — is truly a historic feat, as they became the very first school in NAASCU’s 16 years of existence to win the crown while serving their maiden season in the tournament. Five Lady Titans anchored Enderun’s offense in their championship victory. Finals’ Most Valuable Player Ella Rodriguez posted a monster triple-double, scoring 10 points, grabbing 22 rebounds, and dishing 13 assists. Shenzen Callangan led their offense with 19 points. 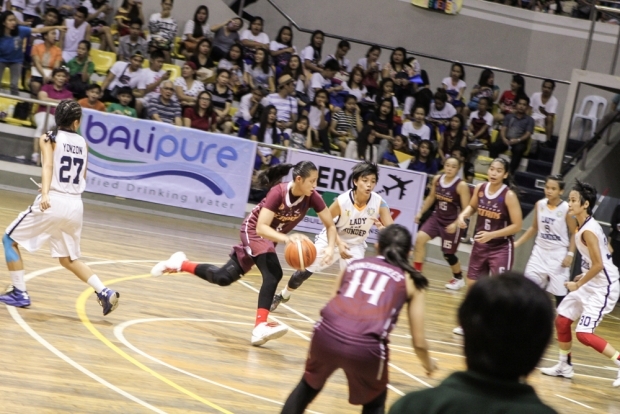 Mary Grace Calang and Shaina Marcos each scored 15, while Joylyn Pangilinan and Ella Rodriguez supplied 11 and 10 markers, respectively. Enderun clearly dominated the top-seeded RTU in the team stats department. The Lady Titans shot a decent 45 per cent from the floor, converting 28 out of 62 tries compared to RTU’s 27 per cent shooting clip. 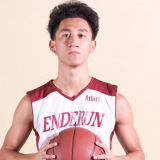 Enderun also outrebounded RTU, 60-45, and dished the ball better, 22-11. Ella Rodriguez finished strong with a monster triple-double (Photo by Nichol Lopez). 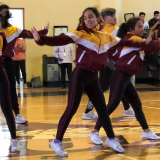 Asked for her thoughts regarding the Lady Titans’ first championship title, head coach Haydee Ong iterated that their win was the result of pure hard work and grit. “I think kaya namin nakuha ‘yung championship is [because] they gave it all… Na kahit na we’re lacking sa personnel, mas kaunti kami, their hard work paid off because they wanted it more,” said Ong moments after the match. The head think-tank, who was also awarded as this season’s Best Coach, was all smiles just moments after their historic win in their debut season. Ong also had nothing but admiration for Rodriguez, who earned the Finals’ MVP plum after finishing with a strong triple-double in the pivotal Game 2. “Si Ella talaga eh, if you see her stats, she’s triple-double today. 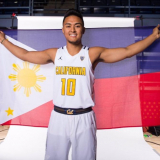 Halimaw talaga eh, rebounds, assists, ‘di ba? She’s a team player. She deserves the MVP,” exclaimed the former Perlas Pilipinas head coach. The McKinley Hills-based Lady Titans also bagged other individual season awards. 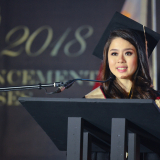 Calang emerged as Rookie of the Year, while Rodriguez and Pangilinan shared the spotlight with three other players from other colleges after being named two-fifths of the Mythical Five of NAASCU’s Women’s Division. Mary Grace Calang takes one more plum for the team as she was awarded Rookie of the Year for this series (Photo by Nichol Lopez). 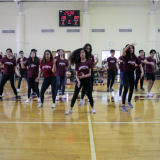 Enderun Colleges’ founder, Jack Tuason, who watched live at the Makati Coliseum to show support for the Lady Titans, was beaming with pride by the end of the game. “The girls are awesome. They worked so hard for it, so this is not a fluke. This is something you see them practicing early morning and late at night. I know the hard work that they have put in, and I’m touched. 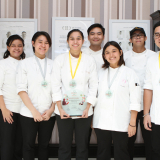 So, I’m very proud of them,” said Tuason. The Lady Titans had entered their maiden season with high hopes, and only consistent hard work, passion and grit to quench their thirst for victory. Now, there is no doubt about it—the Lady Titans are the queens of the hard court.